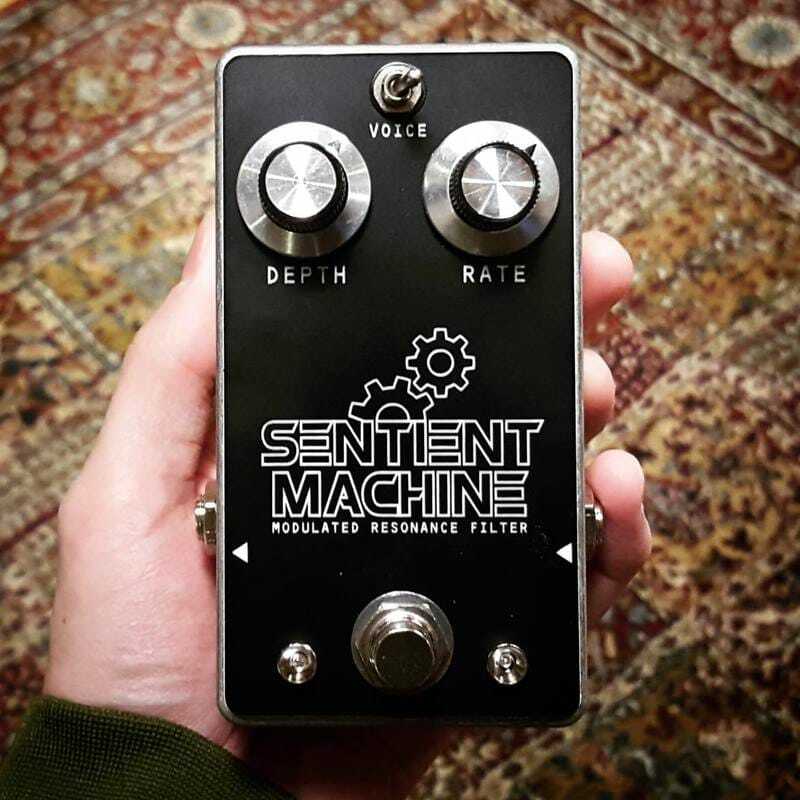 The Sentient Machine is a resonant lowpass filter modulated with an LFO. 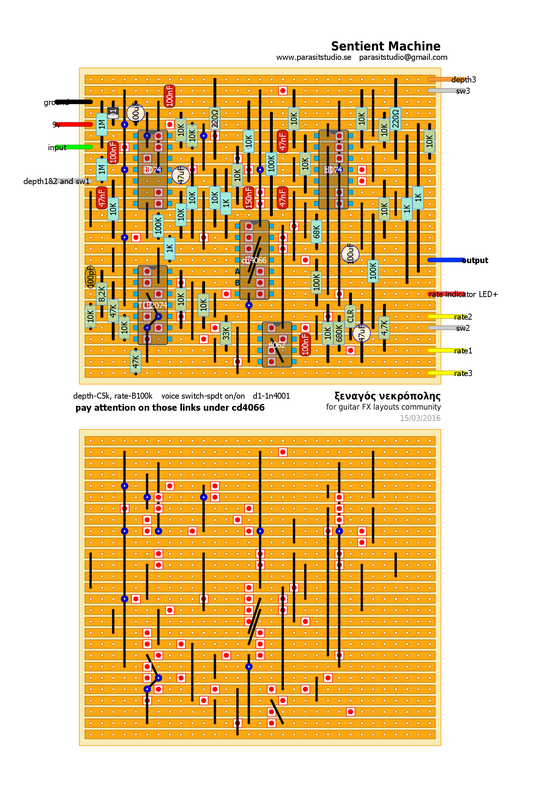 It has a couple of different voice settings, a standard wah sound and a unique vowel sound. ​At slow speeds it makes a cool spacey sweeping sound reminiscent of a phaser, and at minimum depth and medium speed it almost sounds like a tremolo.